LeadsLeap 2.0 Review - I am Astounded!!! LeadsLeap 2.0 Review – I am Astounded!!! LeadsLeap 2.0 Review – A new upgrade to LeadsLeap 1.0 that improves 4x in leads and traffic generation. LeadsLeap 2.0 is definitely a class higher than the previous version. Find out how now! Overview: Since my last review of LeadsLeap 1.0, Kenneth has put in tremendous effort to his LeadsLeap system and now its LeadsLeap 2.0! Now you can even earn money by viewing ads and showing ads on your Website! Kenneth had given LeadsLeap 2.0’s interface a facelift and it is very neat and easier to navigate around. On the dashboard, you can view all your statics at one glance. Kenneth has made some changes to his free tools. The features of this List Builder remains unchanged. You are required to know some technical details to install this script to your web host. Kenneth mentioned that LeadsLeap will continue to support all existing links infinitely. But you will not be able to create new links. You are advised to move your links here to The Real Tracker if possible. I will share with you more about The Real Tracker in the next section. LeadsLeap 2.0 Review – New Features and New Earnings! LeadsLeap’s The Real Tracker tool has replaced the Advance Link Cloaker tool. The Real Tracker is much more powerful as it can track visitors to your website and determine whether they are real and have they interacted with your “Sweat and Blood” contents. Today I’m thrilled to release a powerful link tracker, with rotation and cross promotion capabilities. We call it… The Real Tracker! Viewing ads in LeadsLeap member’s area. Viewing ads in the email sent to the member daily at a pre-chosen time. Placing an ad-widget at their blog/website and attain 3rd party clicks on the ads. Again, let’s listen to what Kenneth has to say about this. How can everyone make money? You could earn credits not just by viewing ads or by 3rd-party ads viewing. Remember, LeadsLeap has a referral system that works a little like MLM. You could have downline referrals of up to 10 levels. When each of your downline referrals view ads, you’ll earn a percentage of their ads credits too! So some members with a large network of downlines will have an overflow of ads credits for their own use. Guess what, Kenneth allows them to be converted to cash! Just to keep you updated on the progress, the click-through in the network quadrupled. Both Free and Pro Members should be happy with the increase in traffic. I hope you are happy! Today I have a new feature to announce. We call it “Credit Encashment”. I joined LeadsLeap as a free member about a year ago and remains relative active by updating my free ads and viewing the ads in LeadsLeap to earn my ads credits. The Free Ads Credit system was modified a little too before this LeadsLeap 2.0 update. Kenneth has changed from earning one credit by view one ad to earning credits based on the time spend on viewing/interacting with the ads. This is really a fair system as some free members might just click on the ads without actually viewing the ads but just wanting to earn the credits for his own ads. Join as a free member here and you’ll understand more when you post your free ads there. Ever since I upgrade as Pro Member 2 months ago, my list and signups have increased by 100% with LeadsLeap v2.0 beta kicking in. Yes, even before its official launch on 16 Feb 2016! I rated this product 4.0 stars because it works! Your ads get viewed by the real people and who interact with them. The one star missing is because ads in the Leads Lead System are 99% related to Make Money Online niche. So your target audiences are limited if you are not working around this niche. 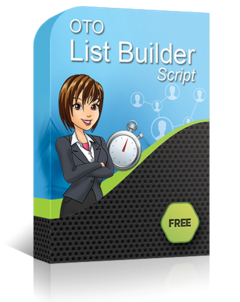 Also, the free Autoresponder, OTO List Builder tool requires some technical skills to setup. Honestly, I find it quite difficult to set up myself. HitLeap Review – Legitimate Traffic or Scam?!? Traffic For Me Review – Legitimate or Scam?!? Great! Click Intensity Review – Legitimate or Scam?!? Great review on Leadsleap and I also think that it is a good system. Lead generation in itself is a very difficult process and the more tools one can have, the better. I am glad that you pointed out tracking because that is very important. Especially if you are using ppc, because you would want to know where your leads are coming from. I am totally with you when you mentioned that Lead generation is a difficult process and that requires trial and errors. With effective tools, you can experiment with your PPC campaigns and track your visitor sources. Take a look at Leadsleap’s free ads campaign. 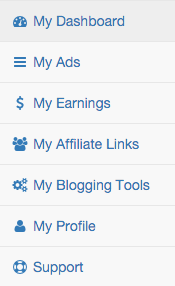 It’s free to join and all you need is to earn credits by viewing others’ ads to earn credits for your own ads. You could use the tools like The Real Tracker, Popupxpert and OTO list builder for your Online Business as a free member too. Great information you have there about LeadsLeap! I had no idea what that was until I saw your page. It is very to the point about the changes to 2.0, the benefits of it and why you should get it. You definitely sold me on it! In my thought, a review doesn’t need to be a 2,000-words essay, it seems so mashed together and just unnecessary. The way you laid everything out is just perfect and has absolutely kept me intrigued to keep reading and learning. Thank you for the wonderful information and keep up the awesome work! Hi Brandi! Thank you for your comments. I am really glad that this article has intrigued you and is of help to you. Hopefully, you could give LeadsLeap 2.0 a try too. The free ads will definitely bring you additional traffic to your business.